May. 22, 2017 | May 22, 2017 | Wendy Nembhard has been named chair of the Department of Epidemiology in the University of Arkansas for Medical Sciences (UAMS) Fay W. Boozman College of Public Health. She began on April 1 and comes to the College of Public Health from the UAMS College of Medicine, where she will continue to serve as the interim section chief for the Birth Defects Research Section in the Department of Pediatrics. Nembhard is also director of the Arkansas Center for Birth Defects Research and Prevention at UAMS and Arkansas Children’s Research Institute, and the scientific director of the Arkansas Reproductive Health Monitoring System, the statewide birth defects registry. “We are delighted to have Dr. Nembhard join the college as our new chair in the Department of Epidemiology. She brings a very impressive record of research in birth defects, which expands the department’s areas of expertise, and provides new links to research programs,” said Jim Raczynski, Ph.D., College of Public Health dean. 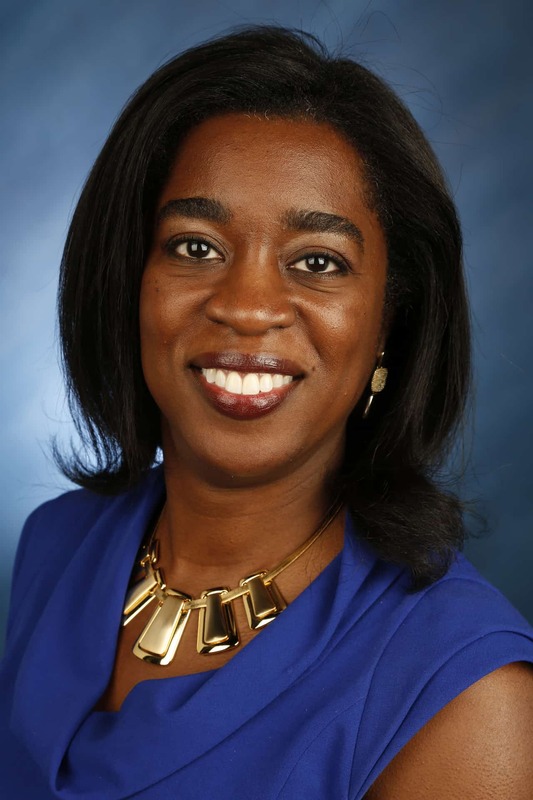 After completing her undergraduate degree from Wesleyan College, Nembhard earned a Master of Public Health in international and family health and a doctorate in epidemiology both from the University of Texas Houston Health Science Center. She then completed a postdoctoral fellowship in the social epidemiology research division at Morehouse School of Medicine in 2002. Prior to joining UAMS, Nembhard held faculty appointments at the University of South Florida and Morehouse School of Medicine. She is a Fellow with the American College of Epidemiology and a member of the American College of Epidemiology, the American Heart Association’s Council on Cardiovascular Disease in the Young, the Society for Epidemiologic Research, the Society for Pediatric and Perinatal Epidemiologic Research, the International Epidemiologic Association, the National Birth Defects Prevention Network, and the Teratology Society. Nembhard serves as associate editor of the BioMed Central Cardiovascular Disorders Journal and a guest co-editor of a special issue of the Journal of Registry Management. The Department of Epidemiology has a diverse and strong group of faculty members involved in research, teaching and public health practice with particular strength in the areas of chronic disease, infectious disease, cancer, molecular epidemiology and childhood obesity.